Telecommunications provider, flow says that it is working assiduously to iron out some kinks in service as a result of ongoing upgrades to its network system. A number of customers over the past few weeks have lodged complaints about flow’s broad-band and cable services. 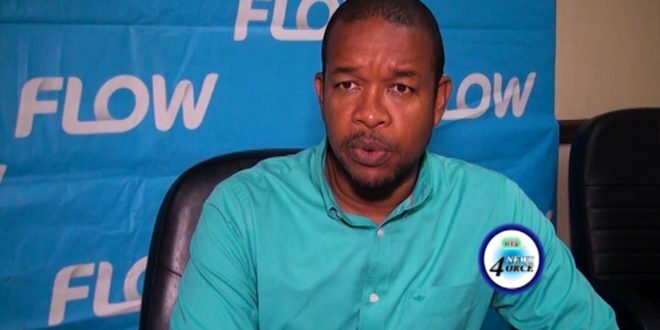 Communications specialist at flow Saint Lucia, Terry Finistere says the telecoms company is aware of the grievances and is taking proactive steps to rectify the problems. Finistere reveals that there are avenues through which customers can seek redress and have their complaints addressed. He says that apart from public outreach and press conferences, company officials have been holding dialogue with interest groups. The communications specialist says that representatives of flow are available to the public and media to answer queries about the status and delivery of service. Long-term goal to provide customers with a world class, unified service. Previous HTS Epoll – Do you think Saint Lucians are embracing the healthy lifestyles message? Next Sarah Flood-Beaubrun, Castries Central MP for How Long?